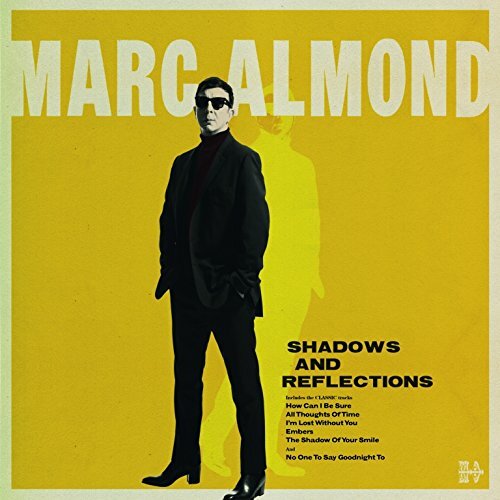 A title like Shadows and Reflections might make this album sound like a contemplative take on an illustrious three decades for synth pop pioneer Marc Almond, but it is certainly not a retrospective. Recent success with his Hits and Pieces took care of previously released material; Shadows and Reflections is pure Almond, back on form and seemingly loving every moment. In fact, his new LP demonstrates that despite celebrating his 60th year in 2017, Almond has lost none of his heart stopping irony or youthful dramatic exuberance for mining 1960s back catalogues to create an astonishingly contemporary sound. The songs on Shadows and Reflections were written or recorded by some of the most influential names in music over the last 50 years; veritable pop royalty including the likes of Burt Bacharach, The Action, The Yardbirds, Bobby Darlin, Julie Driscoll, Billy Fury and the Young Rascals. This impressive list alone stands testament to the reach and considerable influence Almond still wields after more than 30 years in the music industry. 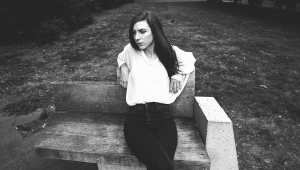 Almond has never been one to shy away from theatrics, and so Shadows and Reflections is a showgirl of an album with sardonic delight bursting from under the petticoats of each baroque-styled pop song. As well as anthemic favourites such as Young Rascal’s “How Can I Be Sure” and gothic pop The Herd’s “From The Underworld” there are also new original compositions that provide “Overture” and “Interlude” to the performance. When the curtain closes with yet another Marc Almond original “No One to Say Goodnight To” - composed and orchestrated by long-time collaborator John Harle - the dream is over and the tears can begin. For ultimately, in true Almond fashion, this musical nod to 1960’s Italian cinema is as much tragedy as comedy. The real tragedy however would be not to check it out.